Welsh angler and photo-journalist Ceri Jones will not forget his visit to Corrib this year. On his annual pilgrimages in search of the elusive big ferox trout, he had never broken the 20lbs mark until now, with his best fish being a 19lbs cracker which appeared on the front cover of Trout Fisherman magazine last year. He has now smashed his personal best, landing a trout of 23lbs 12oz on Sunday last in baking sunshine. The fish took a large rudd deadbait trolled slowly near Inchagoill Island. The fish was officially weighed on certified scales, and once ratified, will be the largest officially verified trout from Lough Corrib – although several fish in and around 25lbs have been caught and released in recent years, they were not weighed on certified scales and cannot count for record purposes. 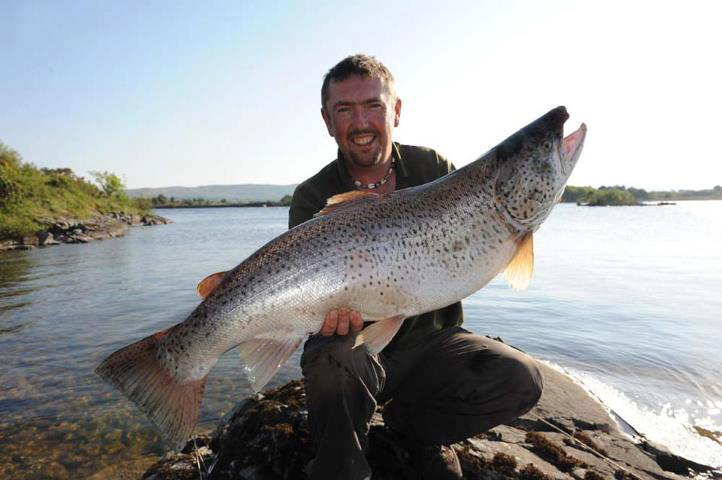 With such massive fish coming off the lake, it is surely only a matter of time before the Irish trout record of 26lbs 2oz, set in 1884, is broken on Corrib. This page was added on 06/06/2012.